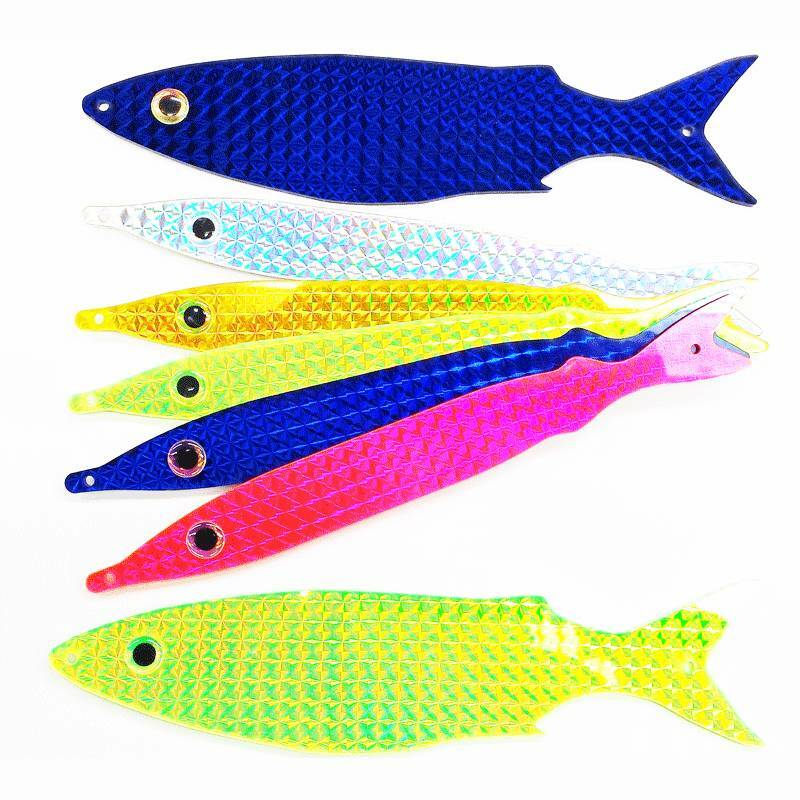 Constructed from an acrylic material with a thickness of 1/8", 3D Stickbaits will far outlast anything else there is on the market (especially the soft strips). They will stand up to billfish swipes and pesky dolphin nibbles without having to be replaced. 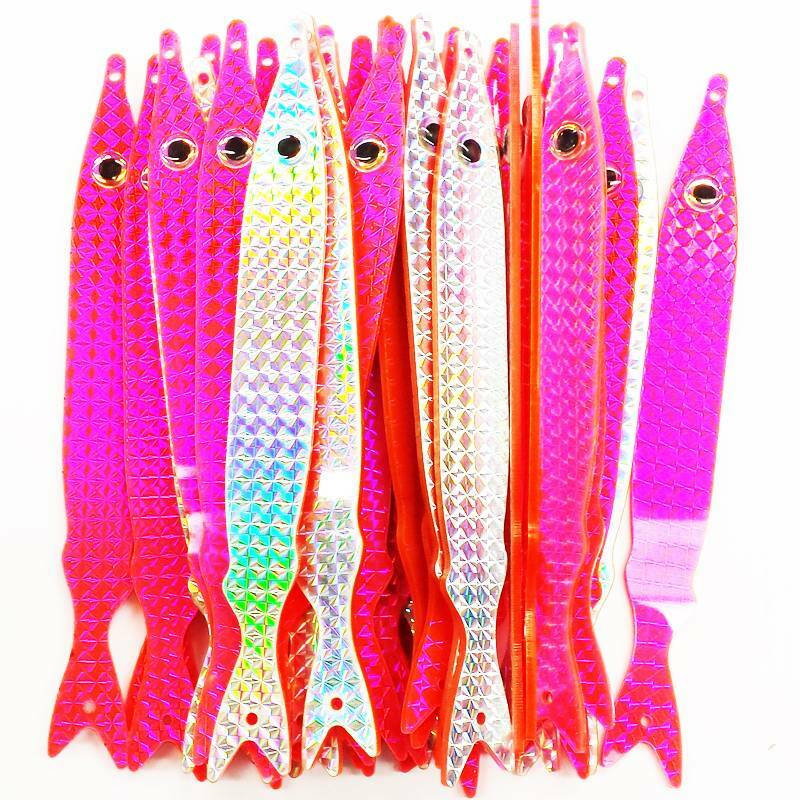 3D Stickbaits come in 5 different colors to choose from, and all have a high impact silver reflective tape on the other side . This reflective material is without a doubt the sturdiest there is. All baits, have large brilliant 3D eyes. 3D Stickbaits will change forever how you rig Dredge Teasers, Umbrella Rigs, and anything else you were using natural or rubber baits on. And it's a change you'll love.